Rich & Ariana Hakman spent 15 years in the corporate world before having their daughter. They never thought that they would both want to be stay-at-home parents since they were both successful and enjoyed their jobs. The reality of 12 hour days away from their daughter forced them to reassess what life was really about. 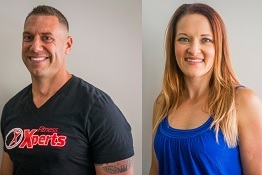 They both wanted something different than the typical 9 – 5, and their interest in the health and wellness industry. God presented an opportunity to pursue that through Advocare and Fitness Xperts! They are experts at helping people reach their health goals and their financial goals. Their mission is to help people live a healthy lifestyle and bring moms and dads home through financial freedom. Owning their own businesses has given them the ability to spend time with their daughter and achieve true success: Doing What you want, When you want, Where you want, and with Whom you want! 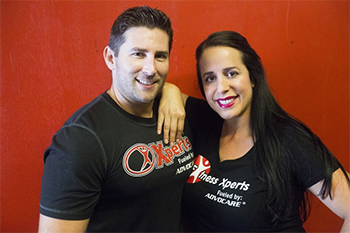 Kitt Hildreth & his wife Karen founded Fitness Xperts in 2006 to provide clients an effective workout in a fun, non-threatening environment. It has become one of the top fitness studios in Central Florida with over 20 Fitness Xperts & a variety of programs to choose from. Kitt’s specialties include general weight loss and fitness as well as competition prep. During his 15 years of coaching he has helped many local pageantry winners, including Erica Dunlap who won Miss America in 2004. Education and Certification: Kitt received his B.S. degree in Health Sciences with a focus on Exercise Physiology, Human Anatomy and Clinical Nutrition from the University of Central Florida. He later went on to receive his MBA, also from UCF. Kitt also holds multiple certifications in both Fitness Training and Nutrition. Jake Foutz leaves his career in Vacation Rental Management to take on a bright future in Health and Fitness. 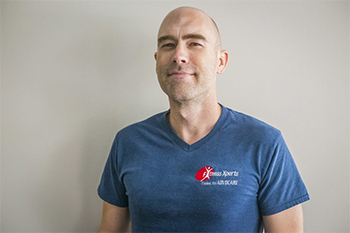 Owning a gym has been a dream of his for the past several years, and now has the opportunity to change lives through fitness and proper nutrition. He is committed to bringing back Community to Fitness Xperts and making it an exceptional private neighborhood gym. Jake was always involved in the gym life and enjoyed lifting weights. However, he found that he wasn’t reaching the results he wanted. Instead of getting lean and strong, he was taking on surplus weight and having frequent pains. He took on a strict fitness challenge in 2011 and it changed his life for the better! As a result, he dropped 70 lbs., earned a defined body, and has maintained for over six years. He learned how to eat and fuel his body properly. Jake has taken on an impressive running career, spanning over 3 years. He is committed to Leading By Example and to help others reach and surpass their Health and Fitness Goals as well.